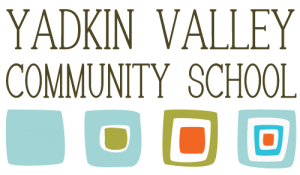 At the Yadkin Valley Community School, our goal is to prepare students in mathematics for logical and critical thinking, not just the memorization of facts and formulas. Our lessons are designed as stepping stones for the student to learn mathematical concepts incrementally. There are three fundamental concepts of mathematics that are taught in a linear fashion; the decimal system, the operations, and linear counting. Through the process of going from concrete to abstract and from building on easier to harder concepts, a sense of order is given. The whole program is taught by using manipulative so the retention of these concepts can then more readily take place versus just memorizing the process. Repetition is built into the curriculum as well, till all methods cumulate in the student’s ability to work abstractly. The teacher follows the needs, styles, and abilities of the child to guide them to use their “mathematical tendency”. In the Upper Elementary classes, abstract work is a higher level of study, which comes naturally after the students have had numerous concrete examples and lessons. The Upper Elementary students learn to leave many of the concrete materials for the four basic operations behind, but continues to use materials for others, such as fractions and decimals. The focus turns to concepts and procedures for work with math topics. These topics include advanced study in geometry, fractions, statistics, decimals and basic algebra to name a few.